The icing on the rather blood-soaked cake – all sold out! Jack and Jill is done and dusted – the show sold out very quickly, and the feedback flooded us with enthusiastic comments and gasps at our bloody performances. I revelled in my threatening gestures to the other people in my scene (Sorry about your neck guys. I’m sorry I didn’t tell you about the knife, thanks for being so trusting) and delighted in my gory end each night, taking particular delight in pawing people with my bloody hands as I coughed up the not-very-nice coffee-and-stage blood mix all over my beautiful Victorian costume (Sorry to Alex, costumes designer of the beautiful Clockwork Butterfly). 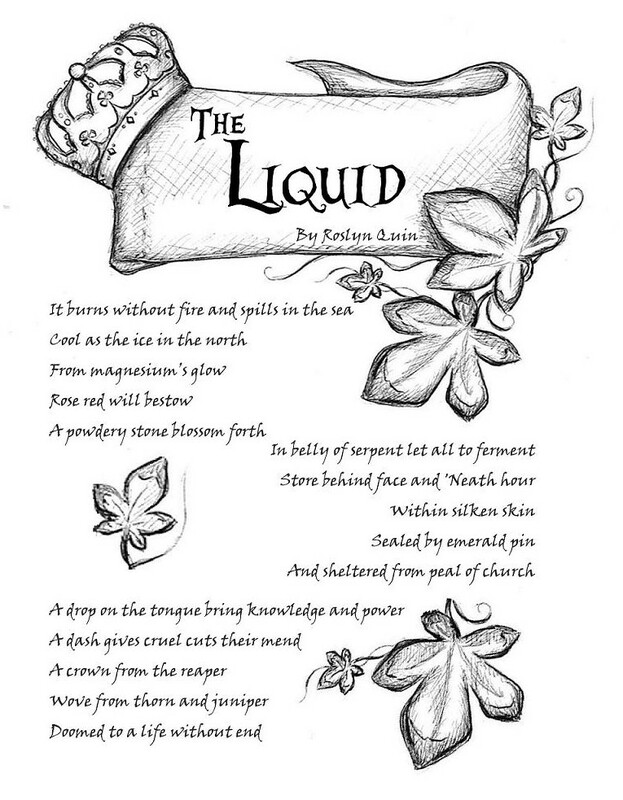 The rehearsals saw the shift and change of my piece to fit the piece and time restrictions and in the end resulted in a request for a poem/riddle about the antidote for death….which I wrote the day it was requested as I had the idea to write instructions for creating such a serum based on varying mythologies. It is this creating for other people that has been really floating my boat lately as the restrictions only seem to fuel me. One night after a show I got a request for a copy of the poem, and being the kinda gal I am – I decided to do up a version for anyone curious. If you would like to use this poem/image/whatever for anything, please ask. I’m not terribly control-freakish about my work as storytelling is meant to be shared – but as with all my original works, I love to know what happens to my babies. Please also note that this is a fictional recipe mish-mashed from all sorts of ideas, not from any particular source.